Plumbing Services Proudly serving commercial and residential customers in the Denver metro since 1989. Plumbing Repairs Count on our team of plumbing repair specialists to fix the issue, big or small. 24/7 emergency repair service available! Drain Cleaning Clogged drains driving you crazy? Call us for professional drain cleaning using safe, effective mechanical and hydro methods. Underground Leak Repair Leaks and damage below the surface present unique challenges to properly repair. Trust our skilled plumbers for underground excavation repairs. Does something smell…off? 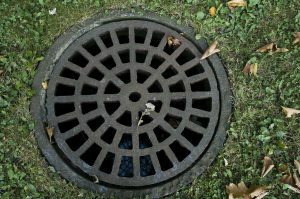 Are you hearing a gurgling sound coming from your drains? Is your tub extremely slow to drain? Your home may be trying to tell you something, and we highly recommend that you listen to it! All of these signs can indicate that you may have a clog, sewer plug-ups, or even damage in your sewage lines. Before long, you may be dealing with a full-blown sewer back-up, which is not only inconvenient, but the smell is something that we wouldn’t wish on anyone. If you respond quickly, before the symptoms get worse and you’re facing more extensive repairs and damage, we can often clear the blocked sewer line with simple methods that will get things flowing as they should once again. However, sewer issues left unchecked can cost you greatly (in more ways than one), so don’t ignore those tell-tale signals that your home is sending you. Call us right away at (720) 363-2907 if you suspect sewer plug-ups or clogging in your Denver, CO or Westminster, CO home or business! We mentioned the smell, but typically by the time you are smelling sewage, there have been other signs that could point to a sewer backup in need of attention. Don’t wait until it gets to the worst point to call us at (720) 363-2907. Clogs and plug-ups can cause pressure and wear on sewage pipes over time, and what may have started as a small blockage in an acute section of pipe can eventually damage the entire line if left unaddressed. We can use several simple methods to identify the source of the clog to ensure that we are fully resolving the issue when clearing it. Call your local plumbing experts at Best Plumbing of Denver to check your sewer lines and perform the appropriate sewer cleaning or repairs before you experience sewage backup in your beautiful home or place of business! We can handle sewer excavation, underground leaks, drain cleaning, and general plumbing repairs, so we’ll ensure that the job is done well without causing further damage to your sewage lines. Contact us at (720) 363-2907 for sewer plug-ups in Denver, CO, Westminster, CO, and surrounding areas in Colorado. Updated on July 12, 2016 at 3:46 pm by Best Plumbing of Denver.